Repost from interview with VoyageATL. Today we’d like to introduce you to Amy Churchill. Just One Africa was birthed out of a trip to Kenya in 2012. 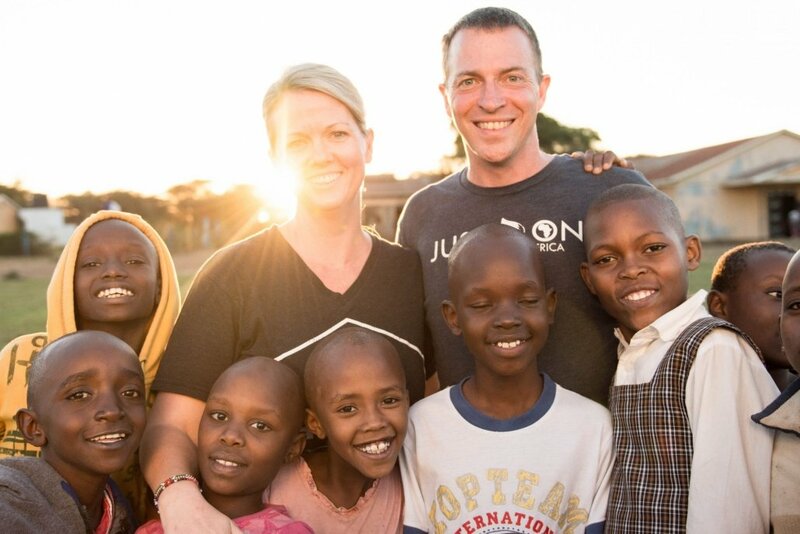 We partnered with a local leader in western Kenya on the shores of Lake Victoria who cared for vulnerable children. Many of the children and the surrounding community were struggling with waterborne disease from the contaminated lake water. The resources they did have weren’t meeting the medical, educational, and other basic needs of the kids. We came away from that first trip with lots of questions, deep friendships, and a strong passion to see the future of these kids and the surrounding community full of hope and health for the future. We returned later that year with water filters and a health and hygiene training for the local leaders and community. The result was dramatically reduced waterborne disease allowing them to put their resources into other areas of need. Children were returned to school, parents were working allowing them to provide for their families, and business was growing from the money they saved not going to the doctor or buying medicine. We also asked questions, listened and asked more questions to try and gain clarity on what the leaders saw that they needed and how they wanted to help the community. Sustainability projects were introduced from ideas garnered from the community and ownership of the project was totally local. Years later we have expanded to several parts in Kenya working hard to first build good relationships, listening well and asking lots of good questions, learning about the culture and traditions, and then finding a way forward empowering, encouraging, and equipping local leaders to be the change they want to see. Working to see long-term changes are never easy and require a lot of effort, determination, and hard work. Working in another culture with so many differences requires that first, we are students of those we are serving/working with so that we can minimize the roadblocks. That doesn’t mean there won’t be struggle or days were you want to give up but knowing that you don’t have all the answers and you need to be willing to be flexible and come to the table with an open heart and mind allows there to be productive conversations that help chart a course that is helpful and not hurtful. There are lots of logistical struggles in working in different parts of Kenya but it is just part of the job and we always try and look for the blessing, opportunity to explore this beautiful country or learn something new that we otherwise wouldn’t have had to walk through. Knowing the order of what is needed in a project can be challenging. If we aren’t taking into account the perspective of the leaders we are working with things can fail and bring discouragement. For example, our partners shared with us the desire they had to expand their farming capacity so that they could feed the children at a rescue center. They had planted a field of maize (corn) and beans but the day before they were going to harvest a herd of zebras came and ate the maze, goats broke through the fence and ate the beans, and several elephants came in and pulled the full-grown banana trees out of the ground and ate them. We could have gotten frustrated that they planted without having the proper fence but then again, we wouldn’t have ever considered protecting the farm from elephants and zebras! So upon brainstorming with our partners they suggested we look into a solar electric fence since electricity was unreliable in this part of the country. We worked with them on a solution that fits their need and we are happy to report that the current crops have grown well without any incident from wild animals and they just harvested the new crop of maize and beans bringing food security for the rescue center for the next year! It takes funds and support to move life-changing projects and programs forward. Fundraising is a constant effort that always in front of us and our desire to steward the funds in the best ways possible also remains at the forefront of our planning. We want the people who donate, volunteer or give in other ways to know that their giving is what is changing the world JUST ONE person at a time. We each can do something and no matter the dollar amount or time spent volunteering it all makes a tremendous difference. We believe that JUST ONE person can make a difference and JUST ONE person is worth making a difference for. So we will keep spreading the word, asking for support, and find ways to bring purpose to those who give. We desire that it wouldn’t just be a transaction but a life-changing exchange. Back in the US, we work hard to share how we are alike yet different and why people should care and get involved by donating, volunteering, or sharing our story with others. Helping people to put themselves in the shoes of another person brings perspective. All of us really are connected and that is why it matters that we stay engaged with those around us as well as those around the world. We really are more alike than we realize but it takes us stopping and reflecting on how we can live on purpose which also brings us joy. Just One Africa – what should we know? What do you guys do best? What sets you apart from the competition? We really value people. Each opportunity we have to share with others is a chance to see lives changed and filled up with hope and the reminder that we are better together. Yes, there is work to be done but at the end of the day, if we aren’t impacting the lives around us whether in the states or in Kenya then we are missing the mark. 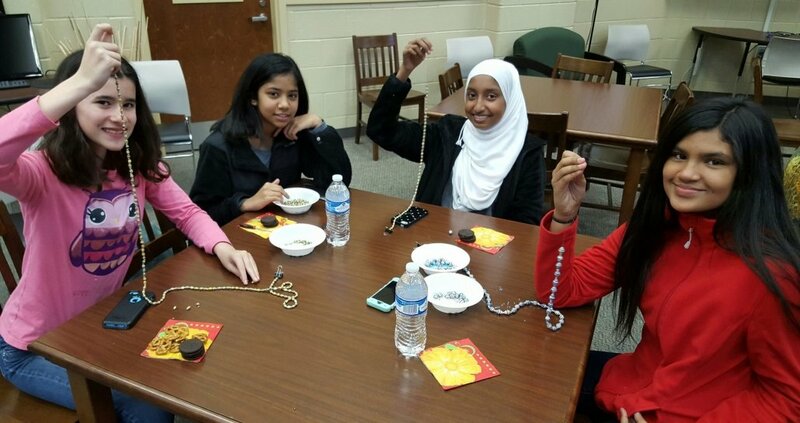 We love that through our Beads for Water Program we are able to partners with local schools exposing thousands of students to global issues and challenges but also invite them to be a part of the solution JUST ONE bead at a time. 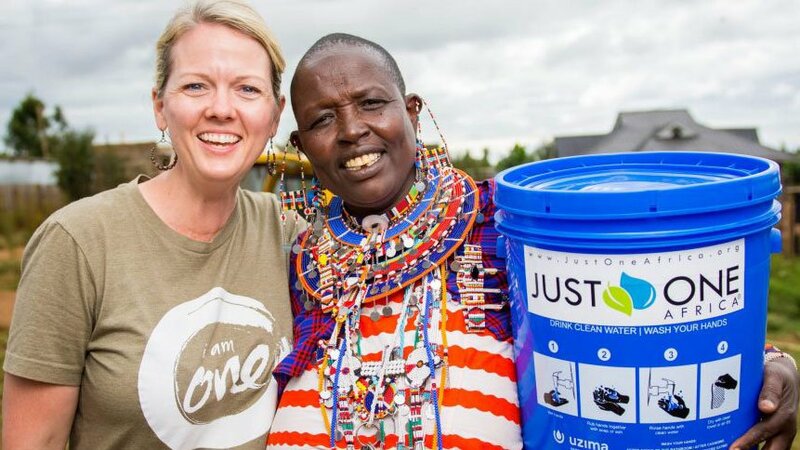 In an effort to empower women groups in Kenya, create funds for our Clean Water Program, and engage young people in creating real-world change, we work hard establishing ‘I am One’ Clubs in local middle and high schools. We have seen an incredible impact in the lives of young people over the past 4-5 years that has changed how they see the world and how they see themselves. After volunteering with our service clubs they realize that they truly can make a tangible difference, and then there is no stopping what they are able to do. Changing the world doesn’t have to be an either/or it can be both/and when we truly believe that each day we can live on purpose impacting the lives around us. It starts in our homes, our neighborhoods, our schools, our community, and then spreads out to the world. Mother Teresa said, “If you can’t feed a hundred people, then feed JUST ONE.” Every day we have an opportunity to make a difference, how will we choose to live today? Success isn’t a stat, or a number, a title, or a large social media following although that is what our culture or the media would lift up as the standard. Success in life is about stewarding and maximizing what we’ve been given. Daily I am driven by a higher standard that desires to honor God in all that I say and do no matter the circumstance, person involved, or continent I am on. It often might mean later nights working to get things organized and in order for the next event or getting up early to arrive on time to the middle school club that I am working with that day. We have numerous opportunities to use what influence, resource, talent, or treasure we have for good and I want to be found having used whatever I have for the right reasons for the most people. It is something that I press on for and daily desire to grow more in maximizing what I have been given. I work hard to communicate well, think of others, stand up for what is right no matter what, be diligent, and learn as much as I can from others to do a better job in serving and maximizing the impact that is possible. Repost from interview with VoyageATL, August 15, 2018. VoyageATL is built on recommendations from the community, showcasing ATL’s most inspiring stories.